Diamond Braces (Astoria) - Book Appointment Online! 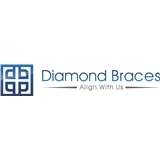 Diamond Braces is the largest Invisalign and Braces provider with multiple convenient locations throughout New York and New Jersey area. We treat kids and adults and take all insurances. In addition, we offer low down payments on low monthly payments for those without insurance and for those seeking affordable high quality care. Visit out location to see for yourself the service, convenience, and quality. Book your appointment now. They were nice and the office was clean, open late. My technician was great but my orthodontist seemed kind of cold. Also their office manager/receptionist was pushy sales wise. They were nice but had I have more time I would have gone elsewhere to shop around. Perhaps it was late in the day, and the environment was off but I want to go to an orthodontist for my teeth health. Not retail. I understand everything is a business but some tact goes a long way. The environment was great. Wait time was not long at all compared to all my other/past dentists. I liked this clinic and will be coming back again. This practice sees patients at 12 locations.